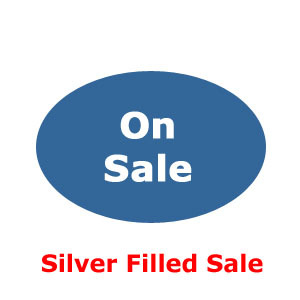 We are closing out most of our Silver Filled items. We will continue to stock our popular items: small puff hearts and Oval lobster clasps. All of the items on this sale are 25% off our already everyday low prices. The sale is limited to stock on hand. No coupon code required. Sterling Silver-Filled products are made of 1/10 (10% by weight) .925 Sterling or better over a base of brass. Silver Filled products are NOT plated. They are manufactured using the same method as Gold-Filled for a stronger, more durable and brilliant product.